Ever since we wrote about turmeric masks, we were receiving requests on how one can use turmeric for acne. This post covers the same. Acne is a major worry for teenagers and adults alike. It can prove a serious impediment in social, work and personal life. The more society places emphasis on having blemish-free skin, the greater the tension that people feel when they are affected by that ignominious zit at the most inappropriate moment. Many home remedies are available, which can be used to effectively treat acne at home. You need not to waste money on expensive OTC products or prescription medications if the acne outbreak is mild. Herbal products like turmeric, mint juice, basil, and nutmeg can be made into a paste and applied on the skin to reduce inflammation. Home remedies to treat acne scars are beneficial when the infection has spread because the patient has squeezed the pimples. Turmeric for treating skin disorders has been used for centuries in Eastern and Asian countries. Turmeric made into a paste and applied to acne-prone areas can destroy the P.acnes bacteria that cause inflammation and remove excess oil from the skin. Turmeric possesses anti-oxidant and anti-inflammatory properties, which are both beneficial in treating acne. Below are some herbal remedies involving turmeric which can prove helpful in acne treatment and management. Take 4 tablespoons turmeric powder and to this add 1 tablespoon milk and 4 tablespoons, raw honey. Stir this mix in a clean bowel until it becomes a smooth paste. Keep this mix in the refrigerator to cool. An alternate set of ingredients are – 8 tablespoons turmeric powder mixed with 5 tablespoons olive oil or sesame oil. Mix these in a clean bowl until a smooth and creamy paste is formed. The rest of the treatment steps are the same for both types of turmeric acne pastes. Take a long hot shower to soften your skin using mild shower gel or bath soap. Avoid all medicated, glycerin and antibacterial products that can dry out the skin. While in the shower, take a washcloth and dip it in very hot water (as much as your hands can stand). Apply the hot washcloth directly on affected areas for at least 5 minutes. This will help to bring pus in inflamed acne lesions to the surface. Now pat your skin dry. Use your fingers and apply the turmeric paste to the dry, soft skin, using gentle massaging motion. Massage for at least 10 minutes. Leave this to dry overnight. The turmeric will dry and become stiff like a mask. This action will reduce acne size. Rinse the dried paste in the morning. Turmeric will stain clothes. So use old clothes and bed sheets when following this treatment. 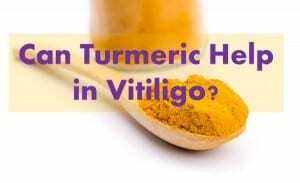 Turmeric will also leave a yellowish tinge on the skin. To clear this, wipe these areas with a cotton ball dipped in a few drops of a mild facial toner. For this turmeric acne mask, take 2 teaspoons of yogurt and combine this with ½ teaspoon turmeric powder and a small quantity of honey. Yogurt that is rich in lactic acid acts as a gentle exfoliator. Apply this mask on the face for ½ hour and rinse off after this. This is a good mask for acne-prone skin. 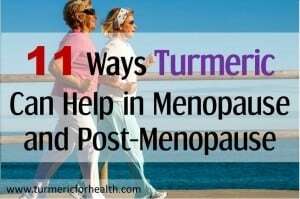 Take ½ teaspoon sandalwood powder and ¼ teaspoon turmeric powder. Combine these two powders with 2 tablespoons curd until you get a smooth paste. Apply this gently on pimples and lie down for at least 20 minutes. Wash this off with warm water. Finally splash on some cold water, dry your skin and apply a suitable moisturizer. Always clean the affected areas or take a steam bath or warm shower to open up clogged pores. Relax with your mask for the required time. Place cooled down chamomile teabags, cotton pads dipped in lavender or rose water or cucumber slices on your eyes to give a wonderful relaxing feeling. Oatmeal is a great exfoliator. Combine 1 tablespoon each of oatmeal flour and lentil powder and ½ teaspoon turmeric. Mix these in fresh water, make a smooth paste and apply on the skin. Leave for 20 minutes and wash off as before. While there are a few side effects when taking turmeric capsules or supplements, there are not too many side effects when using turmeric on the skin. In rare cases, people can develop a skin rash. Otherwise, the only side effect is that turmeric will leave a yellow tinge on the skin that can be cleared using a cotton swab and facial toner. Turmeric is a useful herbal remedy to fight acne. Using these simple home turmeric masks, you can enjoy your own natural spa at home and clear acne. These facial masks are affordable, simple to make and most ingredients are available in your own kitchen or are easily procured. But make sure 1) you do a patch test before you start using it extensively and 2) use genuine turmeric for best results. Hi. The time taken to see effects differs with every individual; however 1 to 3 months (max) should be sufficient for visible results. This is my turmeric face mask recipe for fighting acne 🙂 after 1 week of using the mask, my acne dried out completely and my face is noticeably lighter. Thank you for sharing the recipe of your turmeric mask! For the Turmeric Mask, can we make a big batch of the substance and keep it in a sealed container for later usage? Hi. We would suggest making it fresh. If needed you can mix dry ingredients and keep it ready. Can you use this treatment everyday ? If so , how many times a day ? Hi. You can make a paste of turmeric with coconut/olive oil and apply it topically as a spot treatment. Conduct a patch test prior. You can use it twice a day as a spot treatment. Leave it for at least 20 minutes and then wash with cool water. Nice article, but you didn’t mention the greatest study ever! Turmeric was shown in one study to reduce oily skin by 24.76% after 3 months, when applied topically. That would make it brilliant for acne and clogged pores as well. Ideally, you would combine turmeric with a carrier oil like jojoba oil, in order to enhance the absorption of the compounds in turmeric, then wait as your oil production gradually falls. Thanks for sharing this. Do share the study link with us for the benefit of readers. is there any pack for no staining ?? Turmeric does not stain the skin. It may leave a slight yellow tinge in very rare cases than one can get rid of after good cleansing or washing. Can we store this turmeric powder and lime juice paste for everyday use? Hi. We would suggest making the paste fresh everyday prior to application rather than storing to avoid any adverse interaction. I have pimples on my forehead due to dandruff. So can you please suggest me remedies for curing dandruff using turmeric? Its best to consult a doctor or a dermatologist about your skin issue. You could take turmeric orally which would help detoxifying your body and aid in balancing hormonal issues. A beneficial way of taking turmeric is Golden Paste. You can start with 1/2 teaspoon and raise the dose to 1-2 tsp 2-3 times a day or how it suits you. You could also try applying turmeric and neem paste as spot treatments for the pimples but do a patch test before doing the same. But this paste helped me in winters… my pimples were less nd they were going… but in summers may be because i used to put the pack bath and then go out in sun (with scarf) …. is dat the reason ? For my pimples not going? Hi. Turmeric has photoprotective property so it won’t damage your skin even if you apply it and then later go out in the sun. May be a scalp issue or excessive oil secretion could cause the pimples in summer. It is best to discus this with a dermatologist. You can also try taking turmeric orally so as to resolve internal issues, if there are any that cause pimples. Karnika, you can also try having Neem juice every morning for blood purification, and apply the milk+turmeric+besan paste as an overnight face pack, just milk+turmeric will also do, these will reduce the pigmentation and lighten the skin tone. Hi. You can try a turmeric face mask weekly and if its possible you could apply a topical paste of turmeric powder in milk on other areas. You can also start taking turmeric orally to serve as a detox. Here is a good way of taking it. Start with 1/2 tsp and gradually increase the dose to 1-2 tsp 2-3 times a day or how it suits you. Turmeric is beneficial for skin disorders due to its anti-microbial, wound healing and skin regenerative property. You can try any of the remedies mentioned above. Turmeric and yogurt mask is a great option. Hi. Find a homeopath in your area. My skin was terrible for so long and once I went to my homeopath it got about 95 percent better in 5 months! Skin issue and not just skin deep! hey, you can use turmeric orally as many eastern foods contain turmeric and in fact it will be good for your health as well. One good suggestion for acne is water. Drink lots of water. at least 3 litter per day, this would help with excretion of toxins. at the moment you are having excretion of toxins through your skin! Basra, please do a patch test for turmeric before applying it to the affected area. If you still experience allergic reactions then it is advisable not to consume turmeric orally. 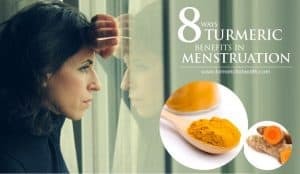 However if that is not the case you can take the Golden Paste: https://www.turmericforhealth.com/turmeric-recipes/how-to-make-turmeric-paste-or-golden-paste It is better if you consult a doctor as to why the acne is spreading to other parts of the body. It might be because of the oil u apply to try switching to more batural oils like almond oil which doesn’t block pores which I use even though I am quite oily . Also look for an aloe vera and tea tree to apply on affected area before you apply ur oil. Lastly u can search up medication that contain vitamin c , b and others which have really helped me I’d it doesn’t work visit a doctor they really help too. I have been using the mask three times a week; overnight for a month now and am not seeing results just as yet. Exactly how long before i see results? I have very sensitive oily skin. Some parts of my skin is dry. What is the best recipe for me to use? Please help. You could use the basic recipe of turmeric, milk and honey. Hi, i dont have big red pimples but i do have tiny invisible ones under skin. I cant pop them out. Its hard to see them but when i touch my skin i can feel that they are there. Im wondering which turmeric mask would help with this ? I ve been using turmeric +honey+jojoba oil ( few drops) for a week, my scars look brighter but the small pimples are still there 🙁 also can i mix turmeric with cinnamon ? Or turmeric with honey and apple cider ? Thanks ! Turmeric is beneficial for the skin. Results differ from person to person but in general turmeric is said to be beneficial for acne. Yes you can mix turmeric with honey, cinnamon and apple cider vinegar. You can also take turmeric internally as Golden Paste. Hi, I also tried almost every product that I could find, but none of them worked, or if they did – it was just temporary relief. Therefore I ditched everything and changed my diet. I started making smoothies and eating a lot of greens. My skin has improved tremendously ever since. I also started using natural soaps from Rocky Mountain Soap – it’s a store that sells them. The tea-tree one works wonders. Health specialists will never tell you to go natural because obviously it could affect the pharmaceutical industry. Try going natural and be patient. Also – exercise and drink organic dandelion tea, you can even pluck out dandelion anywhere as it is just an ordinary grass, boil the roots and drink the water. One more thing….focus on the improvements, visualize the desired result and be grateful for every other thing that you have. All the best. ah the good old law of Attraction as a closing point! Loved it. You could opt for the turmeric masks mentioned above and you can take turmeric internally in the form of Golden Paste. Turmeric works well for many skin conditions. iam 25 years old. I have pigmentation on my nose and very light spots on chick .I have used expensive creams and face washes but it’s still there now I have started to use turmeric powder with lemon juice for 30 minutes in night and my skin is very dry .Please suggest me more home remedies for me . why don’t you try to cleanse your blood first using natural home remedy i’m not expert on this, i suggest this because i’ve made this a few months ago. since my teenage days came i develop oily skin and it cause this an acne scars and severe pimples.i tried to cleanse my blood using warm lemon juice and warm water every morning with empty stomach. thats effective to me. why don’t you try. Lemon dries up skin. Try using milk instead. Can I sleep with the tumeric mask on? And also, once I make the batch, can I store in the fridge until I’ve used up all the contents? If so, how long can I store it for?? Avoid sleeping with the turmeric mask on since it would stain and also dry up on your face. Its best to make a fresh batch always prior to application. The brand you are using is good but do check if it is certified organic. I have had adult acne for 3 years. It looks nothing like acne but dermatologist says it is. I have not been successful using creams with chemicals prescribed to me. I have however used Indian healing clay which does help. I mix the powered clay with unfiltered cider vinegar mix it to a paste and put it on my face. It dries like mud and cracks but you can feel the drawing power as it makes your face pulsate. I added in a drop of neem oil beneficial which helps although I plan to try a clay and tumeric masktonight. I will let you know how well it works. Thank you for sharing this Jeani. We hope it benefits you. Bamz-how many times can I apply Turmeric paste? ?thank you nad for this very informative article,it really helps. 1-2 times a day a spot treatment with turmeric paste should help. This is great! 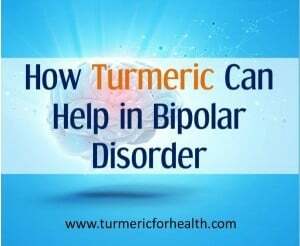 Do take turmeric orally to. It generally helps in keeping body healthy and have so many other benefits too. Would lime juice work as a substitute for lemon juice? Assalamualikum, How many teaspoons of turmeric and lemon juice would you suggest? Waalaikumussalam. Just enough for the mixture of both to become a paste. I use a birth control method that causes acne no matter what. I’ve used every type of cleanser, antibiotics and prescription meds, and even just plain water. Nothing was helping. My cystic acne eventually got worse. I needed help and began looking into home remedies. After using turmeric mixtures a couple times, I noticed dramatic differences. My cystic acne just stopped. It went away. Deep acne that was already there just disappeared. I couldn’t believe it. I recommend turmeric mixtures to anyone. Just try it. It doesn’t smell great but the results are worth it. Hi jenni, this is great! How did you use it ? As a mask ? what all other things you added. I SWEAR by this method, it has been my saving grace. I have learned from years of experience that natural methods are the MOST EFFECTIVE and are not potentially harmful to you compared to products you can buy from the store that are made with a long list of chemicals. Hope this works for you! Please comment back if you can to update us on your child’s progress! I am going to try this… I have cystic acne and have tried everything from witch hazel aloe vera toner, tea tree oil, homemade coffee scrubs made with honey, to bentonite clay. I have oily skin and the witch hazel toner I think dries my skin out too much. I deal with cystic acne. He needs to detox his body and stay away from sodas. I notice when I drink soda I break out bad. Lots of water. You can ask Dr for minocyclin pill to help. The turmeric with milk and honey works good as well. Drys them out. Also use apple cider vinegar with cotton ball straight on face for cystic acne do not dilute. Those have helped for me. Men have facial hair and i have heard many people say that if we apply turmeric it may affect the growth of the facial hair. That is if we use turmeric we may see facial hairs not grow and disappear there fore leaving a clean skin. Can men also use turmeric mixture remedies for face ? If you are using turmeric as a face mask be sure that you regularly apply sunscreen because it does make your skin sensitive to the sun especially if you are fair skinned. I have acne, spots, sunburns, blackheads and hyper pigmentation. Can i apply turmeric + gramflour + water mask everyday for a week? I thought this could get rid of the harsh creams i have used in the past and result to milder safer creams. Honestly for this to work it need to be done daily for at least 30 days. Wearing sunscreen daily (if exposed to sunlight, yes, even your window in winter) and use AHA or BHAs which will prep the skin. Thanks! What all did you use? I used honey and turmeric everyday overnight for about a month and my acne and scars disappeared. I stopped completely and it slowly came back. I couldn’t stand sleeping with a sticky face any longer. My advice is if you have an hour to spare every other day, that works just as well! Then reduce usage of the mask to every few days but don’t ever stop completely. Use a gentle face wash like Cetaphil. After two days you’ll get total pain relief from cystic acne from this mask. Vanny, Great suggestion abiut not stopping it just reducing the frequency. 1) did you leave the paste on your face for overnight everytime ??? because normally people suggest to leave it for 30 min. Hey…Can I have a steam while I have mild acne/ pimples? I am afraid it would burn..
Hi, steam has been used to open pores of skin but one has to be careful not to burn the skin. Use a good steamer for the process and you should be fine. can I use the face mask every day for 20 minutes? Hi, Well, there is nothing which says you cannot if your skin takes it up fine. I would start with a small patch test and then apply it for a short period and check if some issues (if any). They will extend the period gradually to 20 min. Hope this helps. If you are lazy or unsure of how to make the turmeric paste, buy the Indian product called vicco turmeric paste. It is very cheap and can be bought from ebay or amazon. Moreover, I believe that the paste is 100% natural and after applying it overnight for 3 nights I saw the results. If you have really sensitive skin or have a lighter skin tone I would advice you to try it out for about 10 mins and see the affects on your skin. You can thank me later ;). Hi! My skin is basically sensitive but iam really fed up of having these red marks dat the pimples leave! I wud lyk to know if just organic turmeric powder with water paste wud work!??? hi, I would recommend you try using it for a few days (do a patch test first on a small area). Turmeric does benefit skin but the effect may vary from person to person. Hi. My skin is quite acne prone. Sometimes the acne gets severe and worse. I m just fed up of my red skin. I hav tried many methods like ice pack, sandalwood etc. but all in vain. What to do? Hi, some methods are given in the article itself, I suggest you should try them. Hi, it is highly unlikely that turmeric is causing pimples. Maybe try removing cinnamon powder. Also make sure the quality of turmeric you are using is good one. Hi Carolyn, honey is not just sugar! Honey (natural) has amazing healing properties. Manuka honey is known to have significant antibacterial and wound-healing properties. Thus by including honey you are even improving your natural remedy! Hi my skin has tanned and no matter how many remedies I’ve tried, I don’t see any difference. But the turmeric mask does, for many minutes does the mask need to stay on if you have oily to sensitive skin? Hi Angela, it is hard to say how many minutes as each one of us have a different skin. But this is what I would do – I will keep it for say 5 min. and see the result and and if I am not satisfied will increase the time by a minute or 2 next time. Just be careful to use a good quality turmeric powder and do a patch test first. where do i get genuine turmeric powder? which brand is genuine brand? Hi! it is really tough to answer this question. I get raw turmeric and we grind it to make powder. Where are you located? You can try Turmeric from Organic India. I have used it and it looks good. But if you get a chance to get raw turmeric use that rather than a product. Hope this was helpful! For it to really work you would have to do it daily for at least 30 days before seeing any results. Maybe use a kojic acid soap bar (don’t leave on too long in the shower). Kojic acid is a component found easily in Japan and helps prevent skin darkening. It will actively lighten it. I say use it as a base for before/after using turmuric masks to speed up lightening of scars and pimentation. Word of caution use sunsreen daily and do not leave kojic acid or lemon juice in the sun as it will reverse ligthening. Patience works wonders. if i take turmeric in the pill form will it help in any-way for my acne & hyperpigmentation? Can i break open the pill and use it on my face? Jojo, I cannot say for sure as I am not sure what all your supplement has apart from turmeric. If it is just pure turmeric why not! will it be good for acne scars? It helps skin in various ways and thus may (should )help. A lot may depend on which kind of scars, how prominent etc. Once the desired mask is mixed, how long can it be stored? Curious if enough for a week’s worth of masks can be made at once and stored. Thank you. Interesting question! Deana, frankly speaking I have not tried it. But there should be no reason of a mask getting spoiled unless the ingredients themselves get spoiled. For example – a mask with curd will not last that long but one with Fuller’s earth and water will. Which mask you plan to store ? how many times per week can you use it?